One must only look around to see the beauty that winter provides. Sometimes I think I have to look harder to see how beautiful it is in winter but then all I have to do is LOOK-really look-just open up my eyes and SEE. At first glance it seems everything is dead but plants are only sleeping, waiting for the spring winds to wake them up. The earth, she is resting, gathering her strength, renewing herself for another season. Winter provides us time to rest and reflect and I like that. We are having a mild winter this year and have gotten some good moisture so far but not a lot of snow. 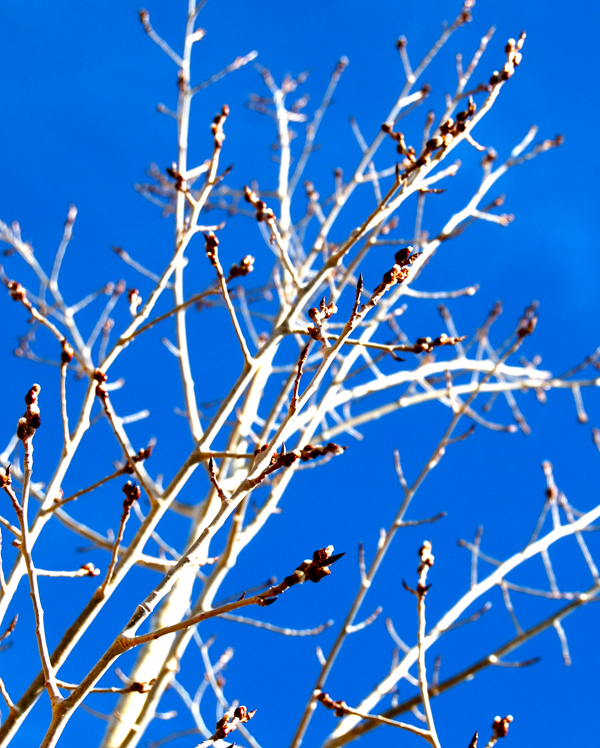 Today when the weather reached 50°F, I decided to walk my land and took some pictures. I hope you enjoy them as much as I do. Are they alien spaceships? 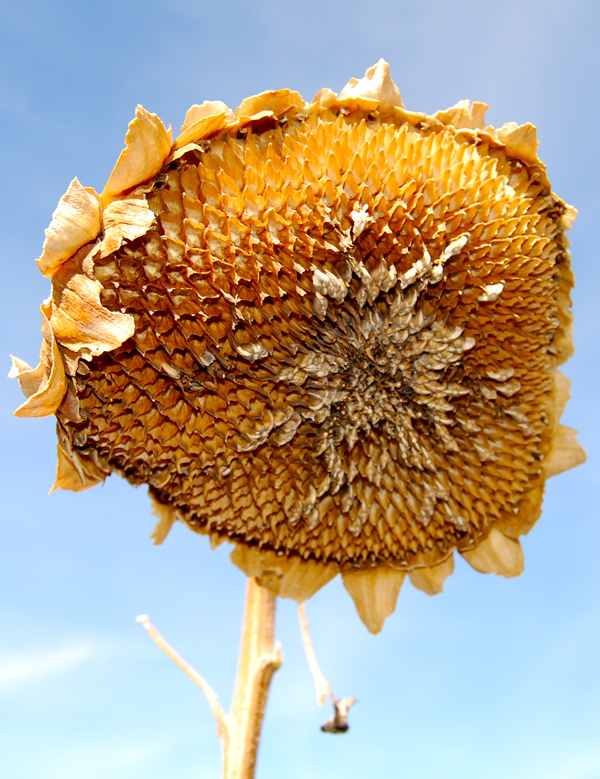 Nah-their just sunflower heads in wintertime. 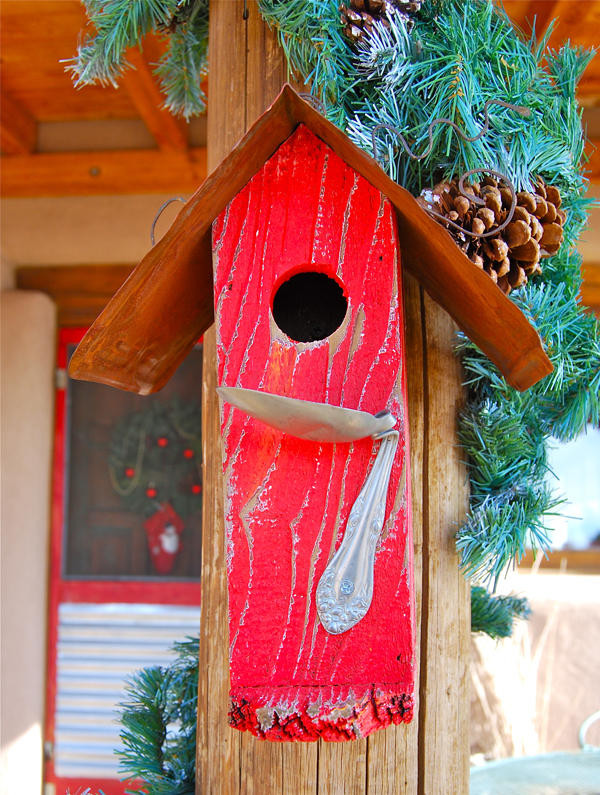 Here is a new red birdhouse acquired at the ‘Recycle Art Show’ here in Santa Fe just waiting for the birds to nest in spring! 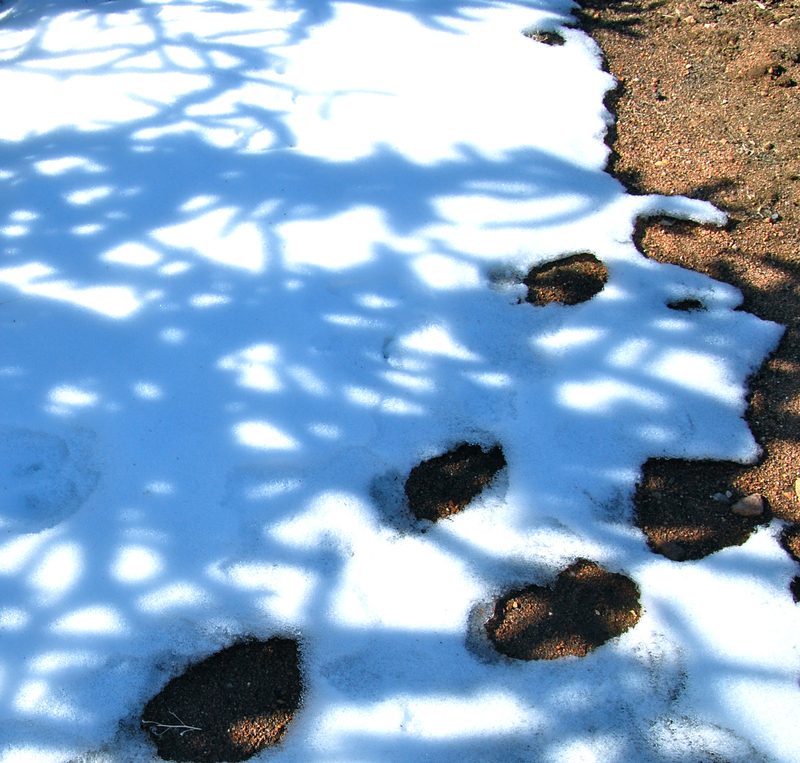 I liked the patterns of the shadows on the snow. 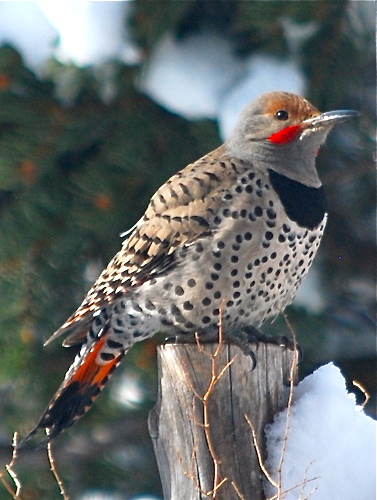 One of our birdie friends, a Flicker resting on a fence post-Isn’t he beautiful! 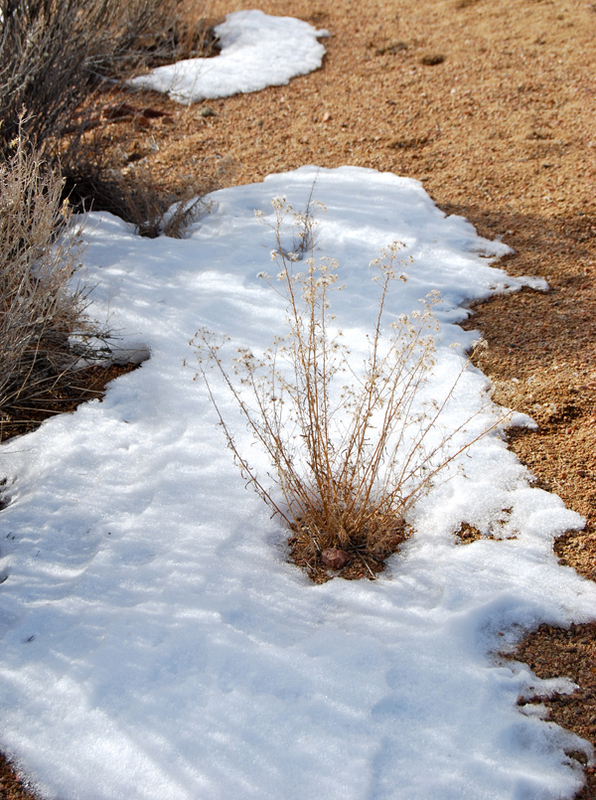 Aster flowers and snow in winter. 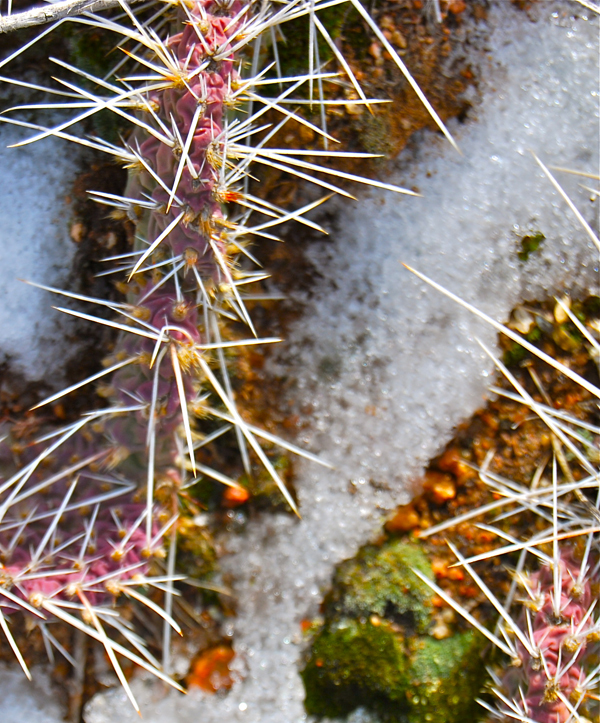 I don’t like cactus but this prickly pear cactus is so beautiful! 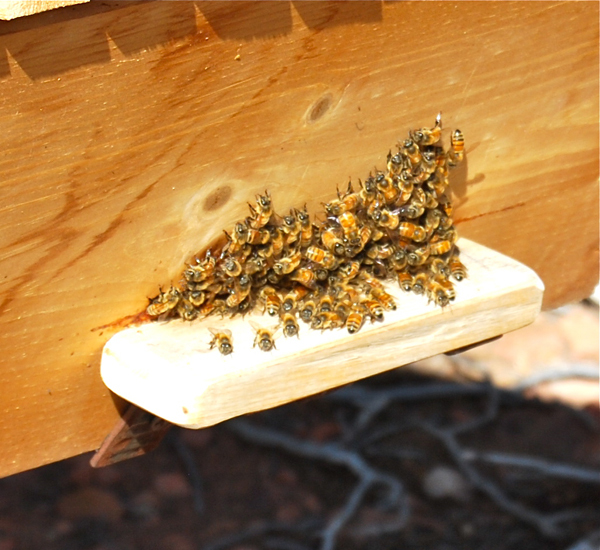 Went by the bees today and they were enjoying the 50° weather too-catching some sun rays! This is called bearding when they ball up outside the opening. 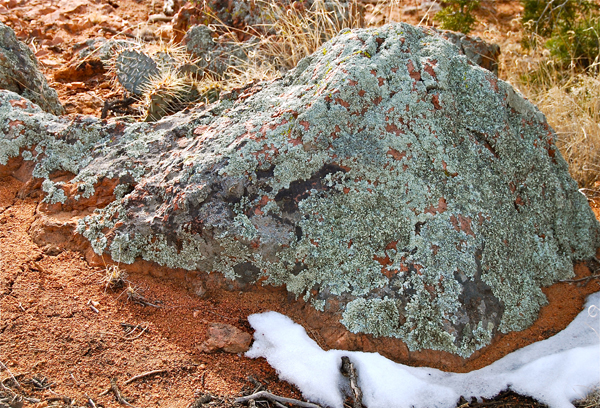 This is a closeup of some lichen on granite. 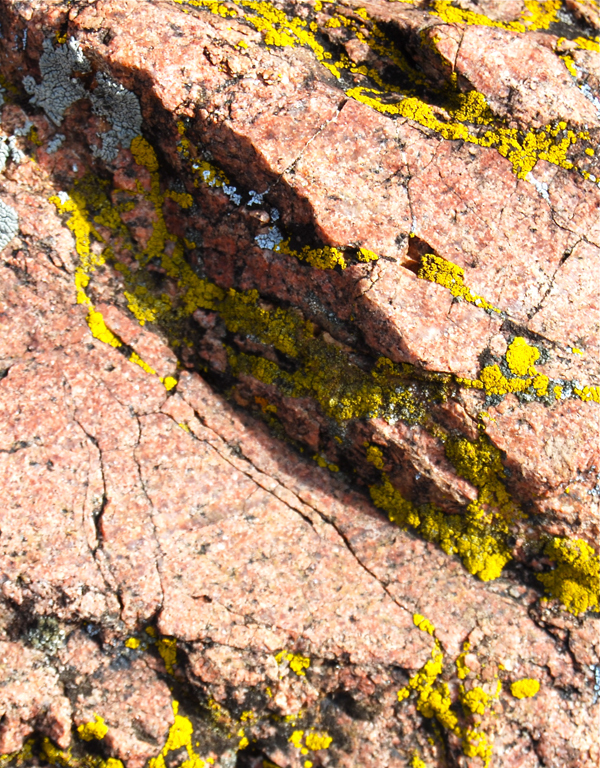 Sometimes it is bright yellow like shown here. 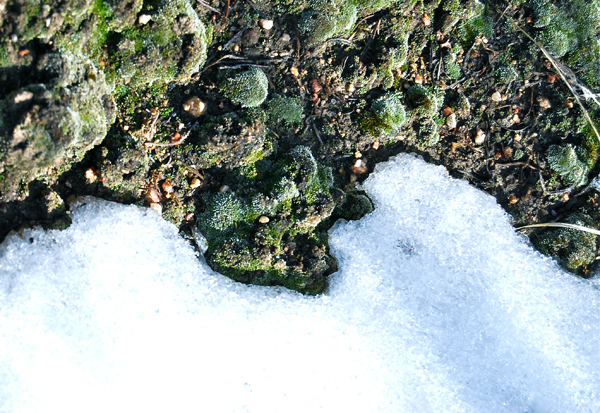 Snow and some kind of really cool moss. Here is one of the sunflower heads I left in the garden last fall. The birds have gotten almost all of the seeds out of it. 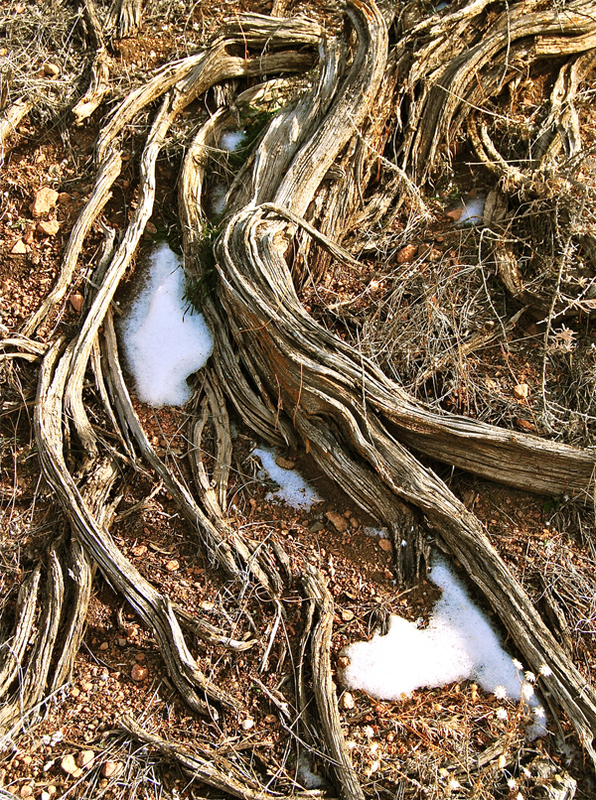 I love this old Chamisa root system. 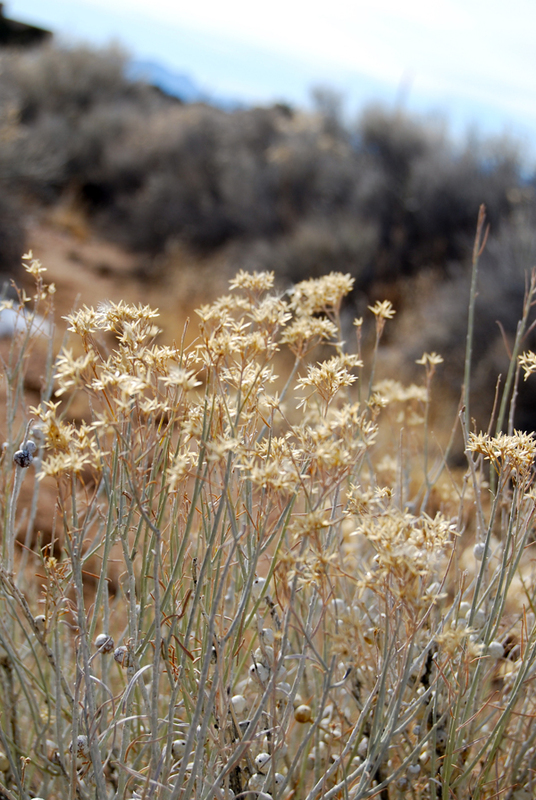 I like the he blue-grey stalks and dried flowers of the Chamisa plant. 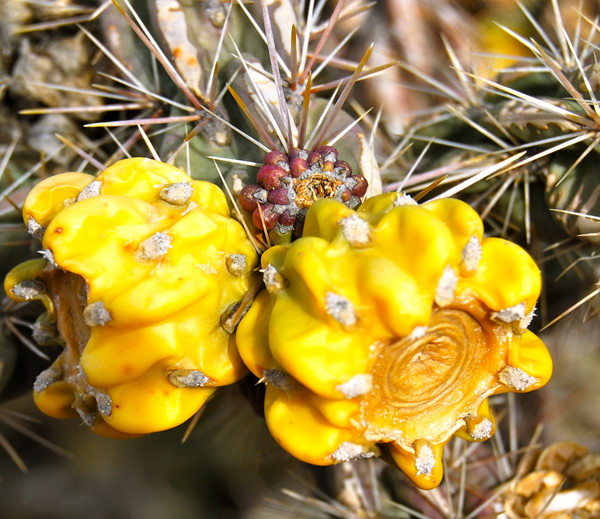 The fruits of the Cholla cactus are beautiful. 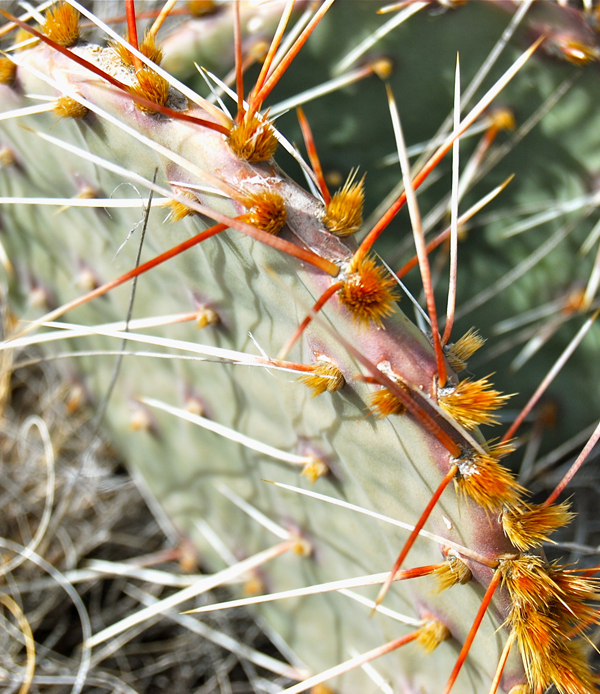 I use to hate Chollas because when you walk by them, they seem to jump on you and have barbed spines that are tough to pull out. But now I’ve come to appreciate them as they provide food for the bees with their beautiful magenta flowers in spring. 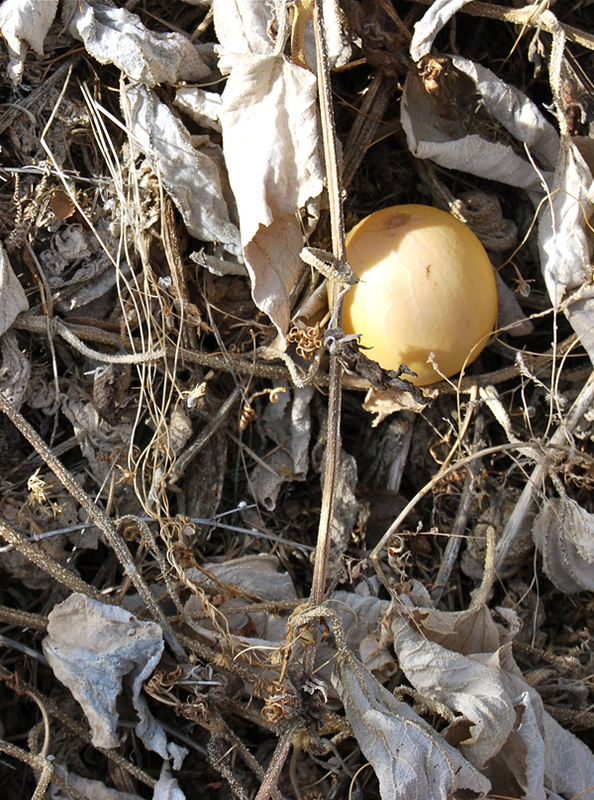 This is what the native Buffalo Gourd looks like in the winter. The gourd starts out as a green gourd, then turns yellow and will mellow to a beautiful ochre color as it dries. Their skin is too thin for making anything out of them but I still like to collect them on walks. 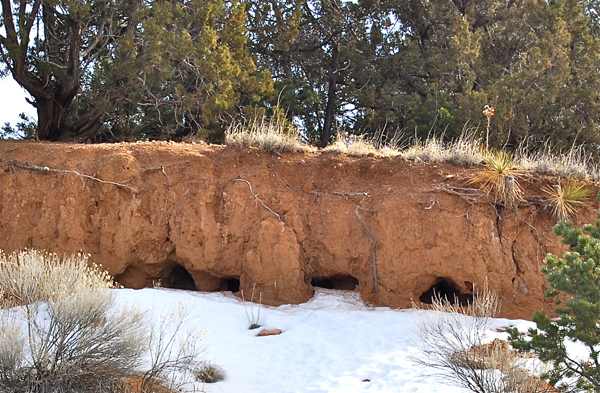 This entry was posted in general, WINTER GARDENING and tagged Northern New Mexico, winter pictures in Santa Fe. yes but we are not as green as you! Much drier here! Your photos are stunning! Thanks for sharing! I found your site as I browsed the Santa Fe farmer’s market page… I’ll be moving to SF in a matter of days from Portland, Oregon so your shots of that beautiful blue sky are especially exciting. 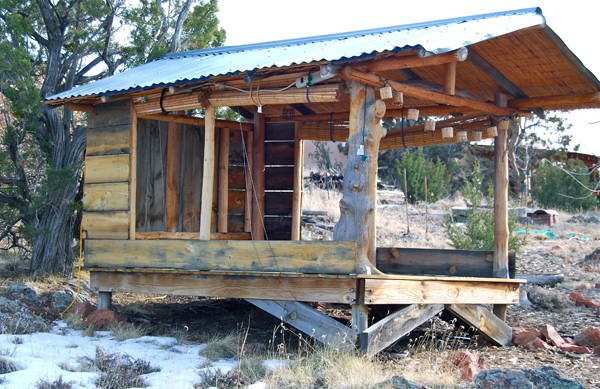 Very Random Question: Is there any local cow’s milk in the Santa Fe area? Beautiful photos, and very interesting new ways of looking at familiar materials (ie, sunflower heads, chamisa roots, cholla cactus flowers). How you doing? We should get together after New Year’s Day. I’ll call you!